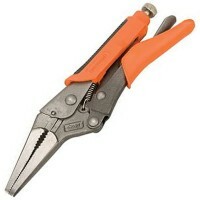 Stanley 0-84-812 Locking Mole Grip Pliers Long Nose Features Size 6in / 150mm. Mole..
Irwin Vise Grip Curved Jaw Locking Mole Grip Pliers Size 5in / 175mm. 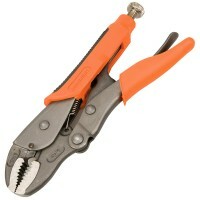 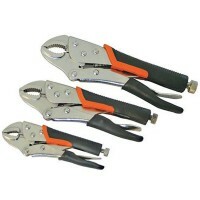 Jaw cap..
Stanley 0-84-809 Locking Mole Grip Pliers Curved Jaw Features Size 9in / 225mm. 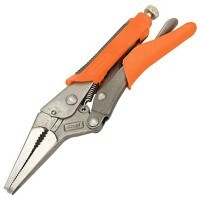 Sty..
Silverline 282605 Mole Grip Pliers Features Size 250mm / 10 inches. 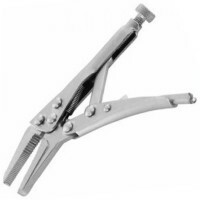 Phosphate coate..
Silverline 633582 Long Nose Locking Mole Grips Features Size 165mm. 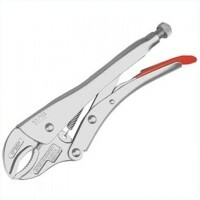 Phosphate coate..
Knipex Locking Mole Grip Pliers Curved Jaw Size 10in / 250mm. 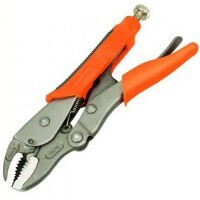 Capacity round 8mm - ..
Irwin Vise Grip Curved Jaw Locking Mole Grip Pliers Size 10in / 250mm. 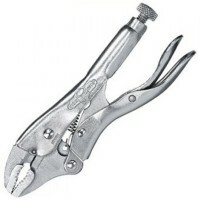 Jaw capacity..
Irwin Vise Grip Curved Jaw Locking Mole Grip Pliers Size 4in / 100mm. 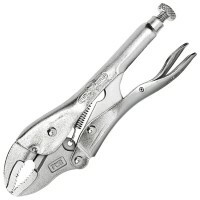 Capacity 15in..
Silverline 868847 Long Nose Locking Mole Grips Features Size 230mm. Phosphate coate..
Stanley 0-84-808 Locking Mole Grip Pliers Curved Jaw Features Size 7in / 175mm. 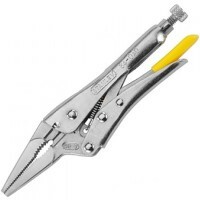 Sty..
Silverline 675297 Mole Grip Pliers Features Size 180mm / 7 inches. 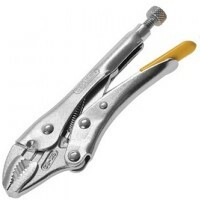 Phosphate coated..
Silverline 675134 Self Locking Long Nose Pliers Features Size 225mm / 9in. 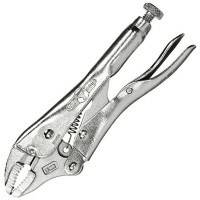 Grips sm..
Irwin Vise Grip Curved Jaw Locking Mole Grip Pliers Size 7in / 175mm. 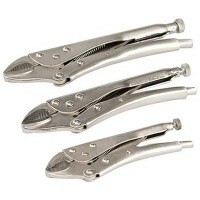 Jaw capacity ..
Silverline PL109 Self Grip Curved Jaw Plier Set Features 3 piece set of curved jaw self g..